Every week, the Bureau of Development Services publishes lists of Early Assistance applications, Land Use Reviews and Building Permits processed in the previous week. We publish the highlights. This post covers December 18th to December 24th, 2017. Current code – Non-contributing structure – Core and shell alteration of existing three story building with basement. Change of use from Mercantile to Business/Assembly/Storage. New elevator, new enclosed stair and removal of intermediate floor between original first and second stories. No change to impervious surface area. Future Code: New buildings and renovation of Mall 205. Some buildings will be demolished at this site. Project would not be submitted until after new zoning code is implemented. 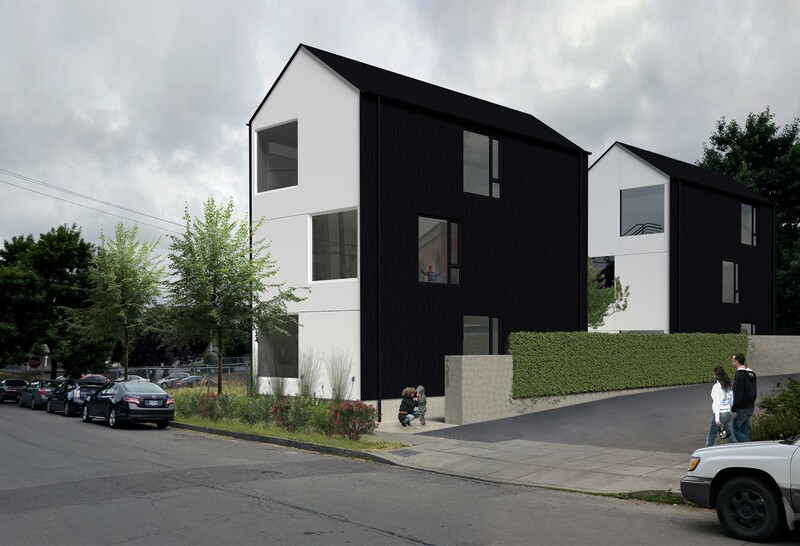 Current code – Two 15 unit (30 units between both buildings) 5,234 square feet three story apartment buildings on lots 10200 & 10300 with new property line adjustments. Development of 15 unit condominium project, frontage access on NE Hoyt. 6 units facing NE Irving St. with Public Works access started. Hoyt is unimproved gravel road. 30-unity multi-family five story structure with 10 vehicle parking garage. Pre-Application Conference to discuss a Type III Historic Resource Review for a new 6-story mixed-use building with approx. 9,000 sq. ft of ground-level retail, 120 market-rate residential units and 63 below-grade parking spaces. Eco-roofs are proposed. The applicant submitted a list of questions for staff response. Design review for the portion of the self-storage facility which sits in the CG portion of the site. New 6-story, 125-unit apartment building with 2700 sf commercial space and one 400 sf live/work space. One modification requested for loading zone requirement(s).